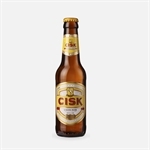 Cisk Lager, launched in Malta in 1928, is a golden-coloured, bottom-fermented lager with a distinctive and well-balanced character. Its rich hop aroma and pleasant bitterness, combined with a mild astringency, make it an outstanding thirst-quencher. Its alcohol content is 4.2%. International Awards: 1980 - Dual championship recognition during the Brewex Competition held in the UK when it had been awarded gold medals for both the "Lager" and the "Best Overall" categories. 1995 - Top prize in the International Lager Category at the 1995 Australian Beer Awards and was presented with the Pfizer Food Science Trophy for the lager obtaining the highest number of votes in the same competition. 2005 - Prestigious second placing in the International Lager Competition category, Class 1, of The Brewing Industry International Awards 2005. These awards are popularly known as the "oscars of the brewing industry", and were previously known as The Burton Competition. 2007 - World's Best Standard Lager title by Beers of the World - an international consumer beer magazine, written by the world’s leading beer writers. Hopleaf Pale Ale is a Farsons Classic Brew produced since 1928. Brewed with high quality malt and traditional English hops it has a strong, fresh character with a pleasant bitterness with 3.8% alcohol content. 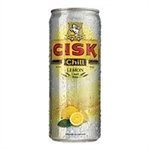 Cisk Lager(50cl) Cisk Lager, launched in Malta in 1928, is a golden-coloured, bottom-fermented lager with a distinctive and well-balanced character. Its rich hop aroma and pleasant bitterness, combined with a mild astringency, make it an outstanding thirst-quencher. Its alcohol content is 4.2%. International Awards: 1980 - Dual championship recognition during the Brewex Competition held in the UK when it had been awarded gold medals for both the "Lager" and the "Best Overall" categories. 1995 - Top prize in the International Lager Category at the 1995 Australian Beer Awards and was presented with the Pfizer Food Science Trophy for the lager obtaining the highest number of votes in the same competition. 2005 - Prestigious second placing in the International Lager Competition category, Class 1, of The Brewing Industry International Awards 2005. These awards are popularly known as the "oscars of the brewing industry", and were previously known as The Burton Competition. 2007 - World's Best Standard Lager title by Beers of the World - an international consumer beer magazine, written by the world’s leading beer writers. 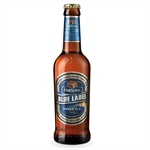 Blue Label Ale, one of the Farsons Classic Brews was first launched in 1928. Locals and foreigners alike immediately appreciated the high quality of this beer and by 1952 Blue Label was awarded the Championship Gold Medal and diploma for the best beer on show at the British Empire and Commonwealth competition. Like all Farsons Ales, Blue Label is part of the country's heritage. Blue Label has been a key part of Farsons' success over the past seventy years. The investment being made by Farsons in order to produce Blue Label Smooth 'N' Creamy testifies to Farsons' commitment, not only to maintain the traditional qualities that have made this beer so successful in the past, but also improve and attract new beer lovers to this truly classic Maltese brew. The development of Blue Label Smooth 'N' Creamy is a first in the Maltese brewing industry and is aimed at guaranteeing that the quality of Blue Label is not changed. On the contrary, whilst this new brewing process will be applied to the draught package, thetraditional Blue Label will still be available in bottles and cans. So lovers of that dark brown top fermenting beer, lightly hopped and mixed with a special type of mild malt will have further freedom of choice. Its alcohol content is 4.2%. 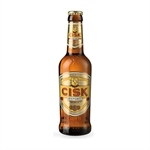 Cisk Export is brewed with the all-natural ingredients that create the original Cisk character and produced to continental requirements resulting in a smooth-tasting premium lager of excellent quality. ABV. 5% ALC.